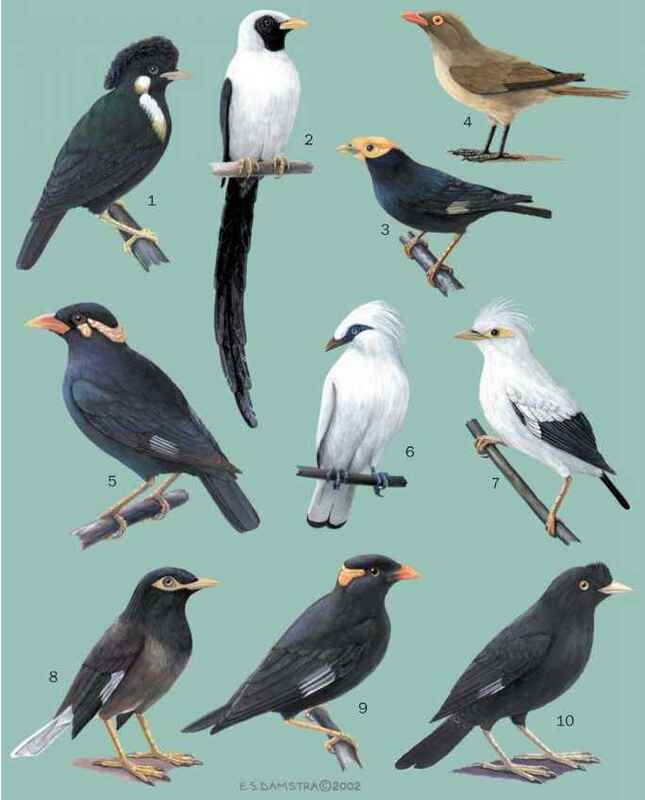 The tail is usually held cocked, alternately fanned and closed, and often swung from side to side while a bird is perched or moving about the foliage. This tail posture is also used when species engage in highly aerobatic, looping flights to capture flying insects. So active are these flights at times that they have been described as "hysterical." These species are restless, rarely perching still for long. This behavior gave the gray fantail the colloquial nickname of "mad fan". 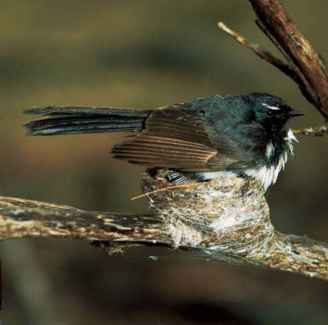 Some species, such as the northern fantail, are more sedate, spending more time perched and making more direct sallies for insects. The willie wagtail rarely fans the tail, but swings it energetically from side to side. Many fantail species are tame and confiding towards humans. They may come close to capture insects flushed by a moving observer. Other large, harmless animals are used in a similar fashion; willie wagtails frequently use domestic cattle both as a perch and to flush insects. This behavior contrasts with the response to animals perceived as predators or territorial intruders. Fantails can be boldly aggressive towards larger birds, fearlessly attacking birds of prey, even landing on their backs. Aggressive behavior in a willie wagtail is signaled by its rasping, scolding calls and a greatly expanded white eyebrow. If the conflict involves a territorial dispute, the losing bird will shrink the eyebrow until it is no longer visible. The thicket-fantails, unlike most species, are shy and secretive in the presence of humans and can be difficult to see as they skulk in dense undergrowth. in winter. Species like the white-throated and yellow-bellied fantails, which spend the summer in the Himalayas, move to lower altitudes at the end of the season. Fantails are not particularly noted songsters, although their voices are by no means unpleasant. They are not strong and the calls are simple. Songs, which can be uttered frequently, are rapid and enthusiastic. That of the gray fantail has been likened to the notes of a violin. The exception to possessing a soft song is the willie wagtail. Both its scolding call and song are robust compared to those of other fantails and can be heard for some distance. The song, transliterated as "sweet pretty creature", may be repeated for quite extended periods, particularly on moonlit nights.